Come and join us for a day of Autumn reflection and self-connection as the Wheel Of The Year turns and we move through the warmth and heat of the harvest season. 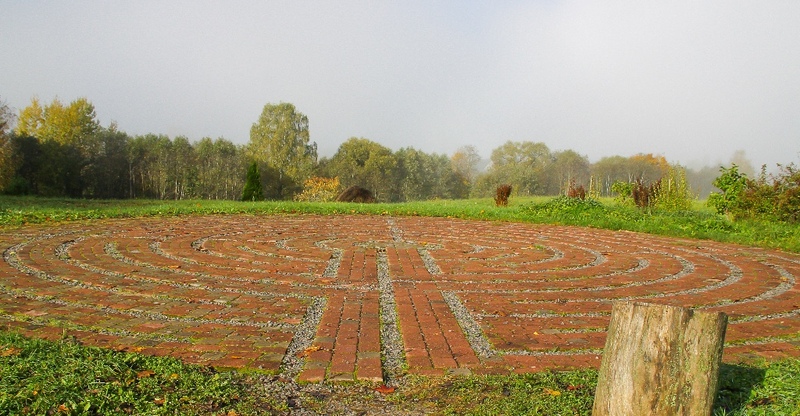 We offer Labyrinth Days for Women at the Equinox and Solstice points of the calendar, meeting to mark and honour the changing seasons. Consciously marking the turning of the year and the transitions through the seasons brings a deeper connection to nature and a sense of being more firmly planted within the bigger, wider cycle of the year. Our day will be held in a beautiful, old, sacred space in North London. If you'd like to see our gathering place there are pictures on the Gallery page. Our time together will include movement and stillness, myth and story, simple ceremony, creative soul expression and a gorgeous, candlelit labyrinth walk. Booking is essential as the group size is small. The fee for the day is £95, which includes all art materials and refreshments.